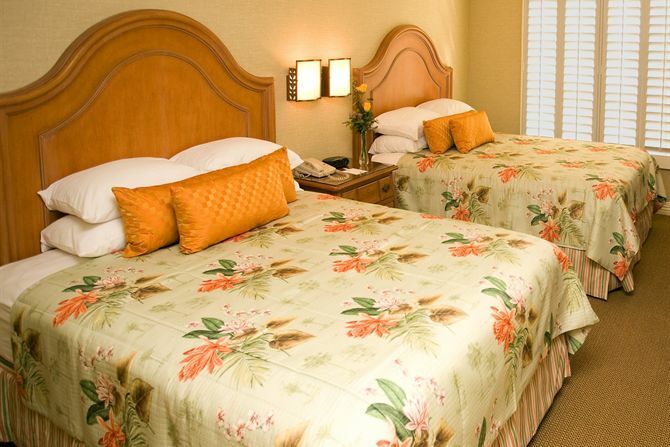 Candy Cane Inn is a family-friendly boutique hotel in Anaheim, CA. With our gracious accommodations, friendly service and complimentary amenities, we strive to make you feel at home during your stay. Surrounded by flowering trees and beautiful landscaping, you'll surely get the rest and relaxation you so richly deserve. Our boutique hotel's lush ambiance and fabulous amenities in Anaheim, CA are offered with a smile—without any additional parking or resort fees. From our scenic cobblestone drive to our self-parking lot, we make it easy for you to get to and from your room without any hint of trouble. Candy Cane Inn serves a complimentary, expanded continental breakfast buffet that can be enjoyed on our pool terrace. Our daily spread includes a great mix of assorted cold cereals including a healthy granola, hot instant oatmeal, white and wheat breads, muffins, croissants, bagels, danishes, doughnuts, hard boiled eggs, cubed cheese, fresh whole fruit, coffee, tea, hot cocoa, orange juice and apple juice. Be sure to stop by and get your day started right. Located only 250 yards away from the main gate of DISNEYLAND® Resort, the friendly staff at the Candy Cane Inn is happy to help you plan your DISNEYLAND® Resort excursions. We offer an exclusive Shuttle to the DISNEYLAND® Resort Theme Parks that leaves from our front drive every hour 30 minutes during Park operating hours. 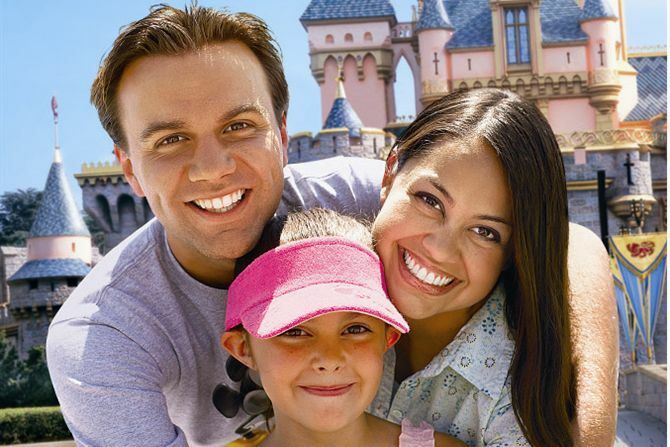 Please call us at (714) 774-5284 to buy DISNEYLAND® Resort tickets without waiting in any long lines! Please call us for more details! Take a break from the excitement of local attractions and workout in our fitness room or take a swim in our heated, outdoor pool. Our fitness room is open from 7 a.m. to 11 p.m. and features the equipment you need to keep in shape. Additionally, your entire family will enjoy our outdoor pool area, complete with a Jacuzzi and children's wading pool. A coin-operated laundry facility is available to our guests. Our onsite Gift Shop is also available to purchase any last minute gifts or items you may need. Candy Cane Inn is located within walking distance to the Main Gate of DISNEYLAND® Resort. This prime location makes it easy for our guests to get to and from the DISNEYLAND® Resort Parks without the hassles of parking and its accompanying logistics. In order to make it even easier for you, Candy Cane Inn offers a complimentary shuttle to DISNEYLAND® Resort that leaves the hotel every hour and half-hour during DISNEYLAND® Resort Parks hours. Share your vacation memories as they happen with wireless Internet access. Candy Cane Inn is happy to offer complimentary wireless Internet in each of our guest rooms. Call us at (714) 774-5284 to learn more about our boutique hotel in Anaheim, California.